, of Crotona, was a celebrated philosopher of the ancients, who flourished about 375 B. C. He was of the school of Pythagoras, to whom that philosopher’s Golden Verses have been ascribed. He made the heavens his chief object of contemplation; and has been said to be the author of that true system of the world which Copernicus afterwards revived; but erroneously, because there is undoubted evidence that Pythagoras learned that system | in Egypt. 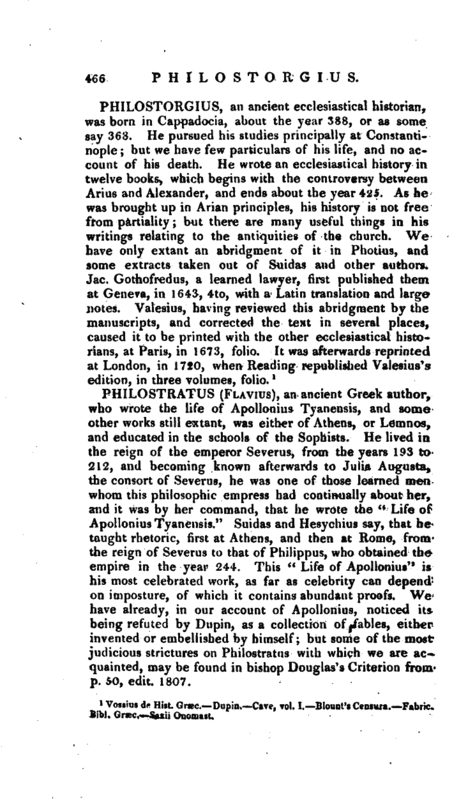 On that erroneous supposition however it was, that Bulliald placed the name of Philolaus at the head of two works, written to illustrate and confirm that system. 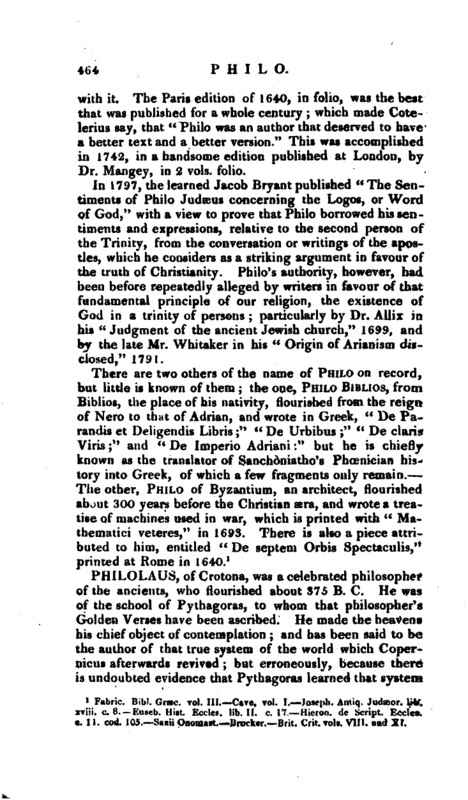 "He was (says Brucker) a disciple of Archytas, and flourished in the time of Plato. 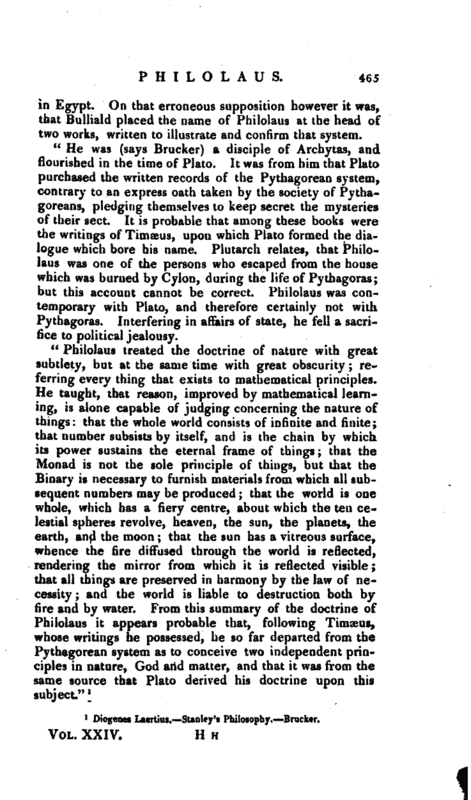 It was from him that Plato purchased the written records of the Pythagorean system, contrary to an express oath taken by the society of Pythagoreans, pledging themselves to keep secret the mysteries of their sect. It is probable that among these books were the writings of Timaeus, upon which Plato formed the dialogue which bore his name. Plutarch relates, that Philolaus was one of the persons who escaped from the house which was burned by Cylon, during the life of Pythagoras; but this account cannot be correct. Philolaus was con,­temporary with Plato, and therefore certainly not with Pythagoras. Interfering in affairs of state, he fell a sacrifice to political jealousy.